Firefighter - The job title and role seems simple enough to understand. What is not usually comprehended is the spectrum of environments which are worked in, which are often chaotic and distressing but also frequently bizarre and often humorous, with no rules as to when or which one you’ll find yourself in. The idea behind this project wasn’t just to illustrate this spectrum and its sporadic nature, but to illustrate the people working and responding to it, hence the title, ‘Firefighters’. I work as a full time firefighter in the London Fire Brigade and felt after almost ten years, I had a clear understanding of what I wanted to show in humanising the job. It was extremely difficult and time consuming to get permission from management to carry out the project. With the staff shortage, I also had the major restriction of having to remain operational whilst making the pictures, which I naively thought wouldn’t become too much of an issue. In the end it was. 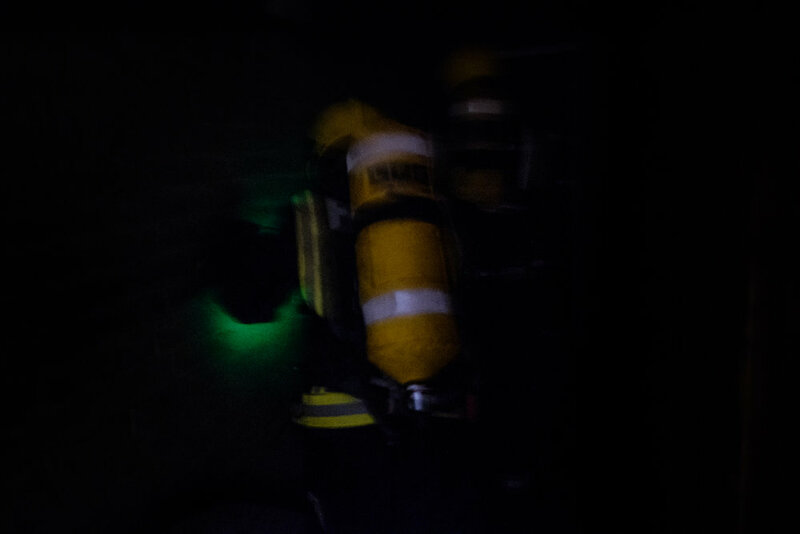 Maintaining professionalism as a firefighter was always going to take priority and so my camera was seldomly lifted at operational incidents, a vital aspect of the project. It dragged on as I tried my best to fill in the gaps but I knew I was failing to meet my overall premise. With no realistic and foreseeable solution, I finished. I’ve chosen to highlight this work here for positive reasons however. Over the 6 months or so I was making this project, I learned invaluable lessons; from researching, and pitching ideas in boardrooms, to finding my own ways to create genuine trust in environments where people are often hostile or suspicious to people with cameras.